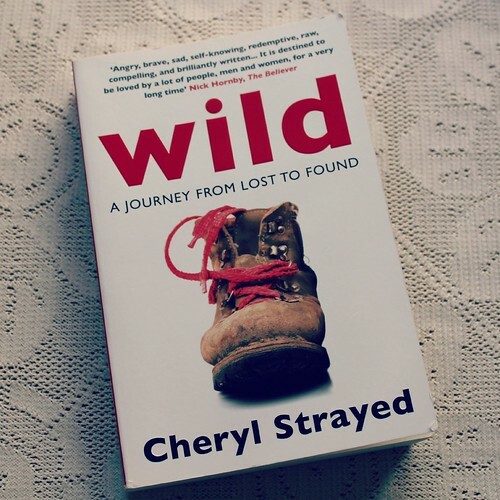 I think my favourite book of 2014 has to be 'Wild' by Cheryl Strayed. I've found my way to quite a few books this year, this one stands out because it's a very real part of someones story and not a self-help book! Taking me right over the edge with her this is Cheryl's raw and honest story of the course of events, including the loss of her mother, which leads to her decision to walk eleven hundred miles of the Pacific Crest Trail. With no previous hiking experience she sets out alone. You travel each painful, brave, determined footstep with her as she sets out to navigate this trail and slowly transform her experience. You can read her prologue here. Thanks to Kate for mentioning it. Sounds like a fantastic book, I'm reading a book right now about a man that sets off as well... small world eh? I'll have to put this on my reading list! It's a long list! But then, I don't think anyone can have too many books!